Description: In the beginning, cinema was an encounter between humans, images and machine technology, revealing a stream of staccato gestures, micrographic worlds, and landscapes seen from above and below. In this sense, cinema's potency was its ability to bring other, non-human modes of being into view, to forge an encounter between multiple realities that nonetheless co-exist. Yet the story of cinema became (through its institutionalization) one in which the human swiftly assumed centrality through the literary crafting of story, character and the expression of interiority. Ex-centric Cinema takes an archaeological approach to the study of cinema through the writings of philosopher Giorgio Agamben, arguing that whilst we have a century-long tradition of cinema, the possibility of what cinema may have become is not lost, but co-exists in the present as an unexcavated potential. The term given to this history is ex-centric cinema, describing a centre-less moving image culture where animals, children, ghosts and machines are privileged vectors, where film is always an incomplete project, and where audiences are a coming community of ephemeral connections and links. 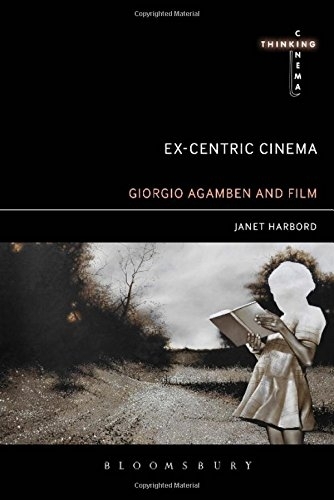 Discussing such filmmakers as Harun Farocki, the Lumiere Brothers, Guy Debord and Wong Kar-wai, Janet Harbord draws connections with Agamben to propose a radically different way of thinking about cinema. Author Biography: Janet Harbord is Professor of Film Studies at Queen Mary, University of London, UK. She is the author of several books on film and philosophies of the moving image, including Chris Marker: La Jetee (2009), The Evolution of Film (2006) and Film Cultures (2002). She is the recipient of grants from the AHRC, EPSRC and the Leverhulme Trust.